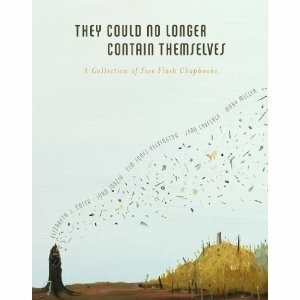 Starting tonight at 7:30 p.m., back at Magers & Quinn, a wonderful lineup of writers take stage, celebrating the release of They Could No Longer Contain Themselves, with a reading from Minneapolis author, John Jodzio, also featuring Dessa, Minneapolis hip-hop singer from the Doomtree Collective, and David Philip Mullins’ Greetings From Below. Dessa will discuss her new book, Spiral Bound, a short collection of essays and poetry, which has been dubbed a “dazzling literary debut” by the City Pages and “witty and desperately honest” by Alive Magazine. Dessa’s most recent album, A Badly Broken Code, was released in January, 2010. Visit www.myspace.com/dessadarling for more information. John Jodzio’s work has appeared in McSweeneys, One Story, Opium, The Florida Review, and Rake. He’s won a Minnesota Magazine fiction. More information is available at www.johnjodzio.net. David Philip Mullins is the author of Greetings from Below (Sarabande Books), a collection of linked short stories, which won the 2009 Mary McCarthy Prize in Short Fiction. He is a graduate of the Iowa Writers’ Workshop. His work has appeared in The Yale Review, The Massachusetts Review, New England Review, Cimarron Review, Fiction, Ecotone, Folio, and Gulf Coast. Visit www.davidphilipmullins.com for more information. This entry was posted in Blog and tagged David Philip Mullins, Dessa, John Jodzio, Linkedin, Magers & Quinn Booksellers. Bookmark the permalink.